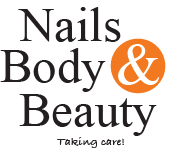 Hello and welcome to Nails, Body & Beauty !! If you have any questions about our products, your order or the company, you are welcome to contact us via email or phone. Phone Customer Service: Due to vacation times, our telephone service is closed until August 20th, but the orders are sent as usual and you can always e-mail us ..